Hello there, we’re CreatedRed Media. 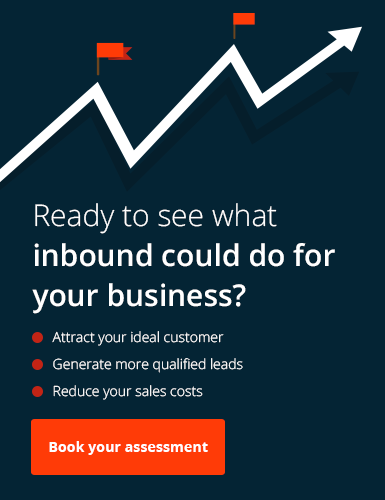 CreatedRed Media is an inbound and digital marketing agency in the heart of Yorkshire. We started life as a fledgeling web design agency, helping small businesses to take their products and services online through creative, business-oriented websites. Today, we’re a leading marketing authority servicing clients, such as York Council, Selby Citizen’s Advice and Sneyd’s Wonderfeeds, one of the largest pet food manufacturers in the UK. We’re focussed on providing the best marketing advice, service and support to our clients to help them transform the way they attract, engage, and delight their customers. At CreatedRed Media, we’re committed to our team values of autonomy, flexibility, and transparency. If you’re looking for a place where you’ll solve creative problems, be encouraged to develop your own marketing and sales skills, and genuinely enjoy what you do alongside other talented and dynamic people, then CreatedRed Media might well be right for you. We’re not on the look out for anyone at the moment, but you can send your CV to [email protected] as we’re always interested in hearing from bright, enthusiastic and creative problem solvers who are looking for a challenge. We’re a creative inbound digital marketing agency in the heart of Yorkshire ready to help B2B companies grow. If you’re looking to grow your business through reaching your target market, converting visitors, and generating more leads then we can help.